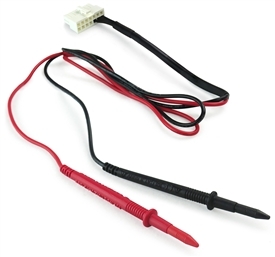 DICKEY-john Monitor Tester Individual Adapter for the MultiAg-Tool. 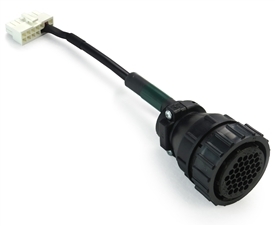 Uses a 37-Pin AMP Plug Connector. Used to simulate applications regarding that your monitor is receiving information correctly. John Deere Monitor Tester Individual Adapter for the MultiAg-Tool. 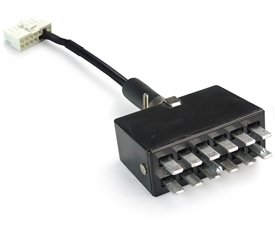 Uses a 37-Pin AMP Plug Connector. Used to simulate applications regarding that your monitor is receiving information correctly. 12 Spade Monitor Tester Individual Adapter for the MultiAg-Tool. Uses a 12 Spade Jones Plug Connector. Used to simulate applications regarding that your monitor is receiving information correctly. 10 Spade Monitor Tester Individual Adapter for the MultiAg-Tool. Uses a 10 Spade Jones Plug Connector. Used to simulate applications regarding that your monitor is receiving information correctly.